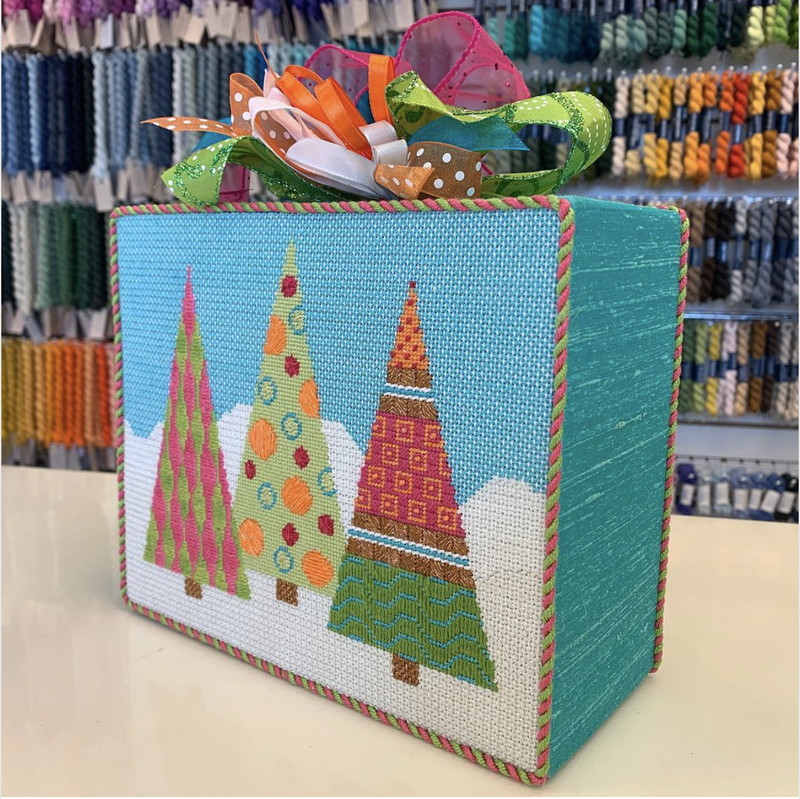 Two nice finishes to share, this is my Christmas Tree Trio, stitched by Paige at the Stitching Studio! 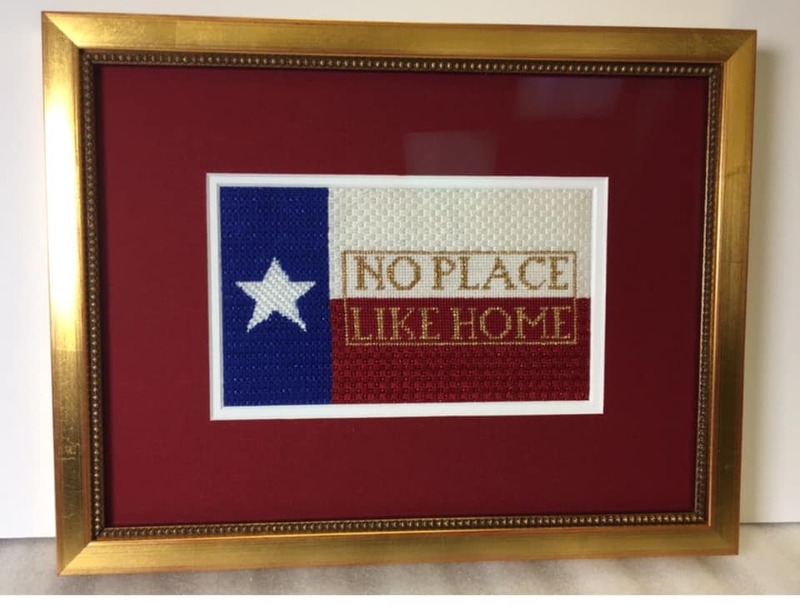 "No Place Like Home" stitched by Elizabeth at Stitches in Time in Houston! 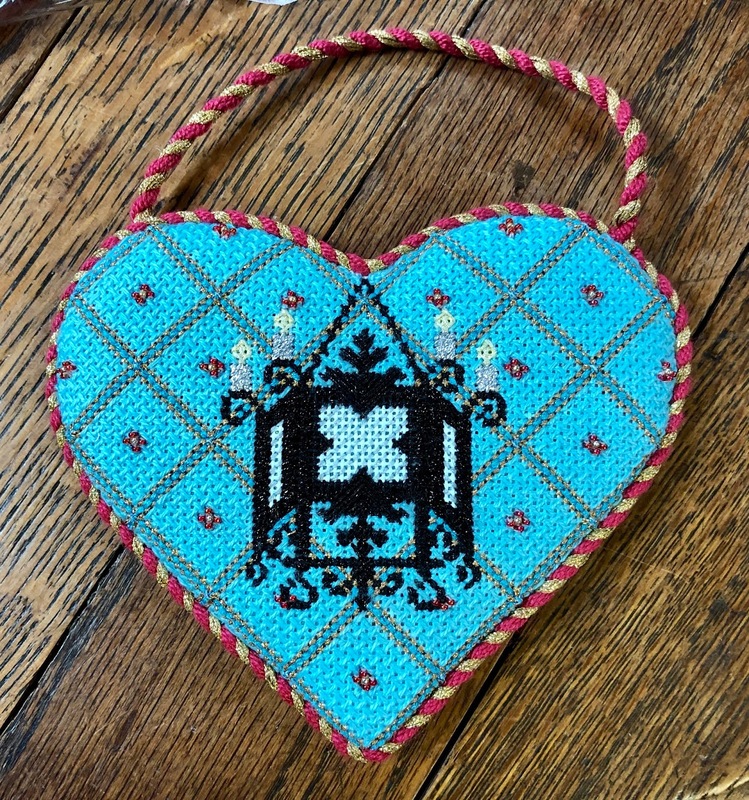 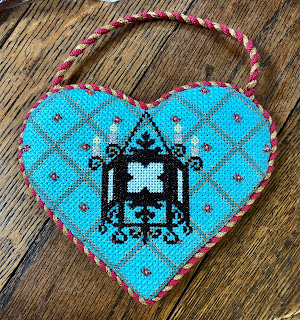 Another Chapter of A Needlepoint Love Story Comes to a Close! 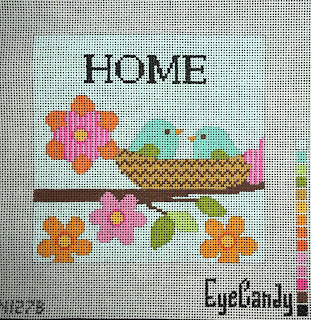 This is the finished class piece, a three-piece design called "Love Home Joy". 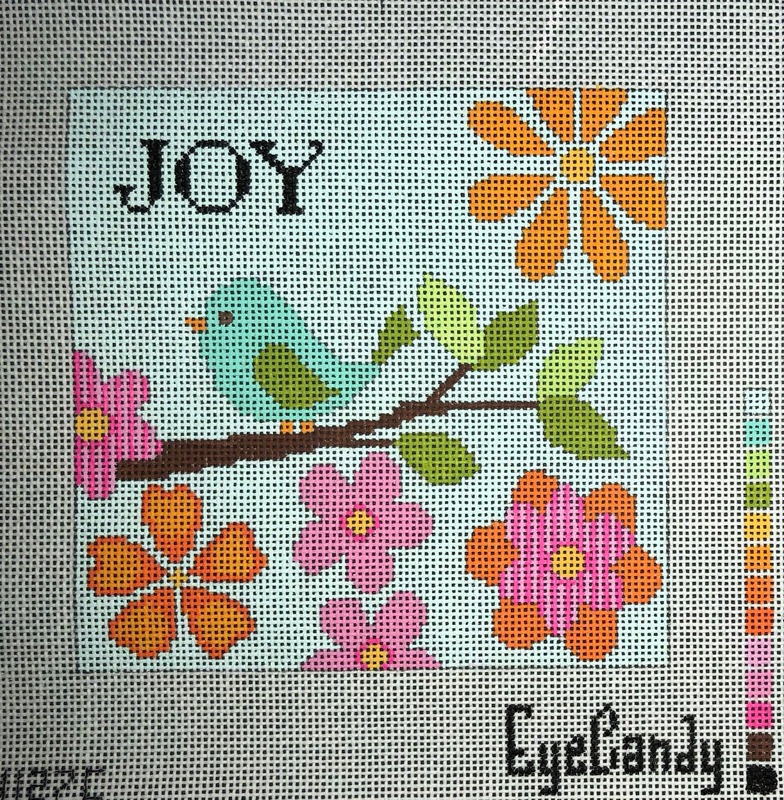 One of my friends had her pedicure painted to match the class colors! 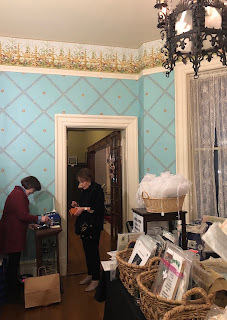 Hope you can join us next year for Chapter 7! 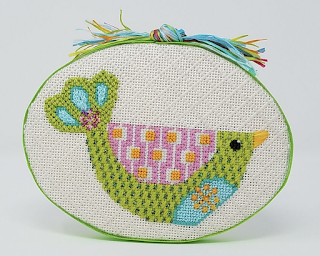 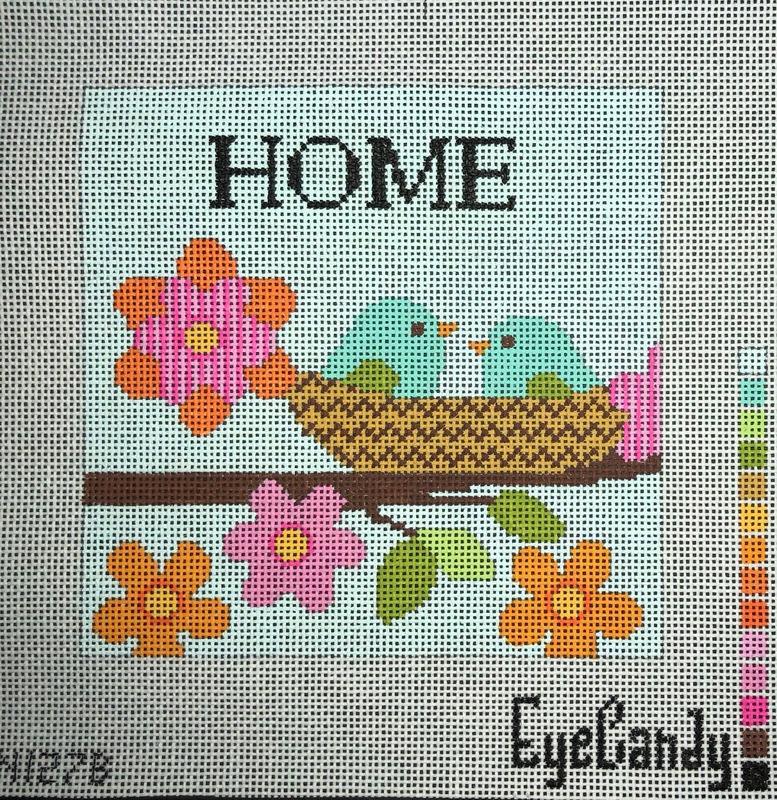 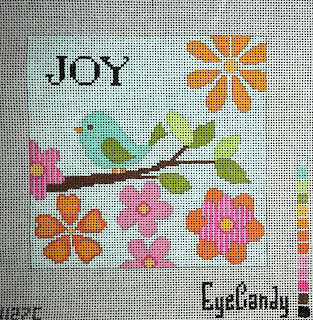 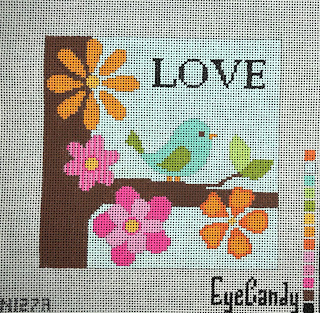 Please contact Fancy Stitches for more info on Love Home Joy and The Needlepointer for the Fancy Feathered Friends club!